Stunning Escapes. Straight Jacket, Rope, Chains, Saran-Wrap, Handcuffs, Shackles, The Steel Box Escape, Inverted Escape From Any Height! Jason Escape regularly gets strapped in a straightjacket, is wrapped in 75 feet of rope, hangs by his ankles from a massive tripod 20 feet above cobblestone streets, and then uses every muscle in his body to worm himself free and safely to the ground. And you thought spin class was grueling? "I'm not an adventure seeker. I'm not an athlete. I'm not into extreme sports," insists Mr. Escape. So what is he? 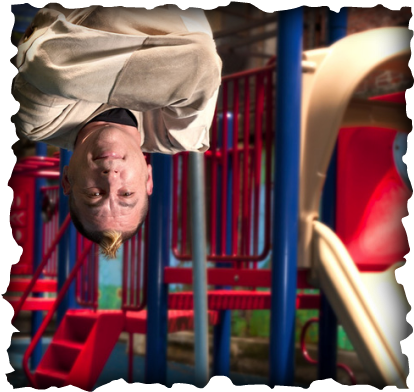 He's Boston's Houdini: an escape artist and mindreader who entertains at large events, private parties and street crowds with witty banter and impressive physical and mental feats. While he may not consider himself an athlete, his repertoire - which includes everything from steel-box escapes to psychic readings - certainly requires that he keep his body and his mind in prime form. Says Jason, "What I do reaches people on new levels, physically and mentally." Festivals, Large Events and Galas, University and Corporate Show, Publicity Stunts! WE CREATE CUSTOM STUNTS FOR SPECIFIC EVENTS.